John, serves as a property/casualty insurance, and bonding agent at Rich & Cartmill in Oklahoma City. John’s commercial business focus is in the areas of commercial construction, commercial surety bonds, web development and various other commercial risks depending on client needs. John joined Rich & Cartmill in 2016 following 10 years as a bond underwriter with Merchants Bonding Company, and North American Specialty Insurance (NAS) where he served as a Vice President. 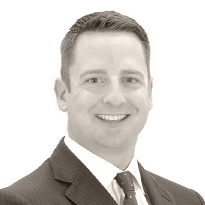 John graduated with a Finance degree from Iowa State University in 2003 and an MBA from the University of Iowa in 2012. John is also active in various construction trade associations including: the Association of General Contractors (AGC), Oklahoma Municipal Contractors (OMCA), American Subcontractors Association (ASA) and the U.S. Green Building Council.